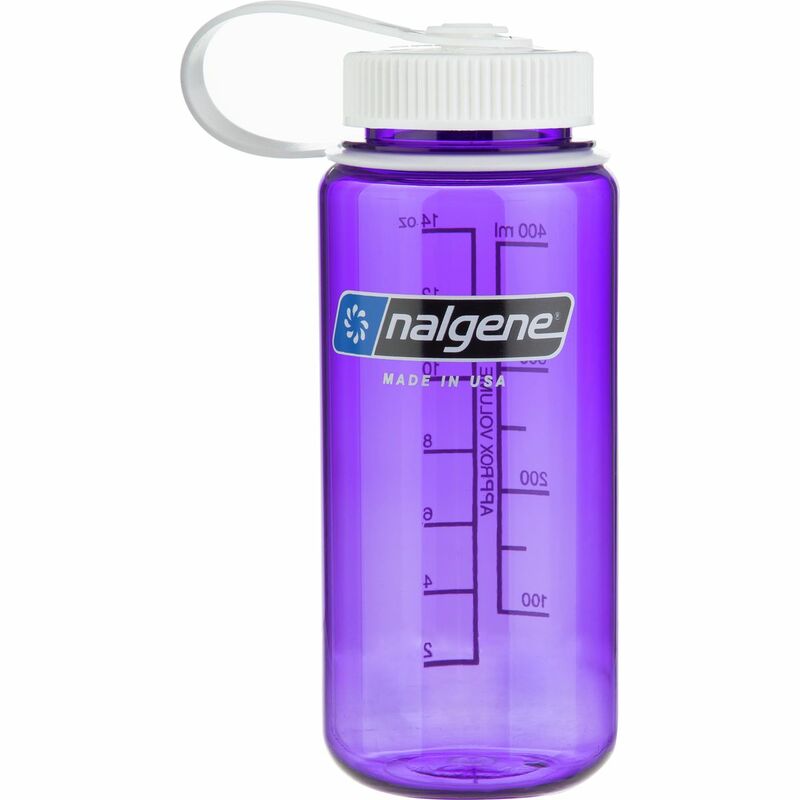 You've seen the Nalgene Wide Mouth Water Bottle everywhere from the backcountry to the boardroom, and for good reason. This BPA-, BPS-, and phthalate-free water bottle gives you leakproof liquid storage for everything from a day at the office to a two-week backpacking trip. The durable plastic loop cap stays on the bottle so you can't lose it, and the wide-mouth opening fits most water purifiers and filters for easy hydration in the mountains. The near-crushproof polycarbonate plastic lasts for years, and eliminates the need for wasteful bottled water or disposable cups.